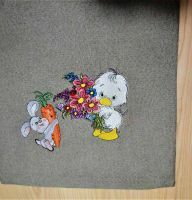 Check out this amazing machine embroidery design coming up next in our extensive floral collection! It features a beautiful bouquet placed in a glass jar. 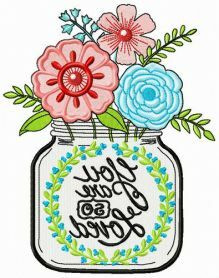 A black inscription on the jar reads “You’re so loved”. This design comes in a color palette of turquoise, desert bloom, aquamarine, honeysuckle, erin green, blue frost and pro cinnamon. 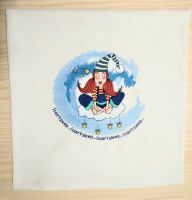 Go ahead and stitch it out to a whole variety of creative objects, for example napkins, tablecloths, aprons, towels, pajamas, bathrobes, quilts, cushions, blankets, wall carpets, makeup bags, T-shirts, gift boxes, sweaters, hoodies and much more. Nice romantic jar for my Valentine's project) Exactly what's needed. Thank u! 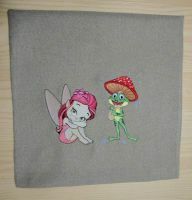 Looking forward to embroidering the design with my dear PFAFF creative machine)Great price also.